We chose a darker brick, black door and shutters, grey stecco, light grey walls, and an open kitchen (with white cabinets) and living room concept!But, unfortunately after reevaluating our finances, we realized we could not afford this beautiful home we were so excited about. But we kept hearing from God that this was our house and inevitably felt discouraged in our walk. We had been sowing seed faithfully to our church- putting God first in our lives and finances. I was starting to wonder when we were going to see God’s provision and promises in our life. Despite our disappointment, we continued to tithe regularly like we had been and serving God through our church. We looked at pre-owned homes and townhouses online that we might consider, but none of the homes were our home. While at church that weekend, our pastor preached about how we need to adjust our attitudes to being God-centered. 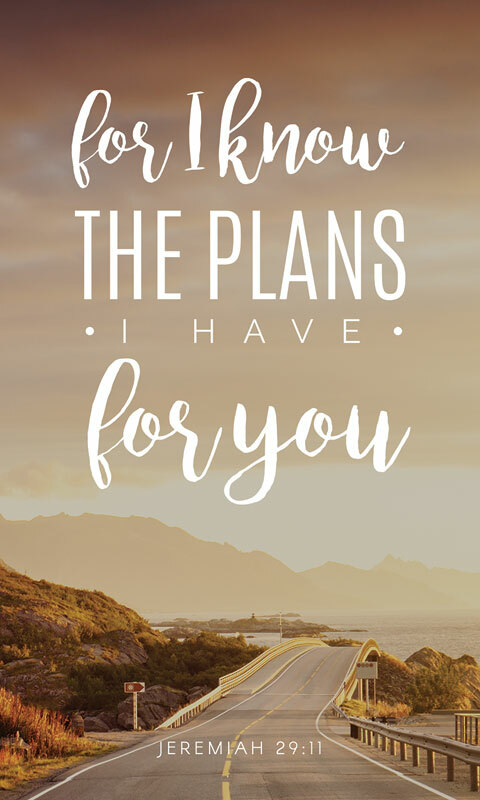 He went on to talk about how God’s plans for our lives are greater than our plans for our lives; what we plan our for our lives is so much smaller than what God plans to do through and for us. Christian said to me “It’s the house.” We both agreed that it was getting this house and stepping out in faith. The next morning, Christian went with our realtor, Mrs. Jamie, to look at houses, because I was having my girlfriends over for our Friendsmas celebration during the afternoon and could not go. Christian calls me around noon while Israel and I had been playing and tiding up around the house. He asks me if I saw the video of this townhouse that he just went and looked at. Of course, I hadn’t. I was too busy chasing around our little boy, but I was surprised by his reaction. Christian told me that it looks exactly like the other house we planned to build… just as a townhouse. He and Mrs. Jamie went to look at another pre-owned house, but he asked me to meet them back at the townhouse so I could look at it. Like any excited mama, I grabbed the diaper bag and put Israel in the car seat! I drove over to these six beautiful townhouses that were being built six minutes from where we live now. On the way there, I was praying and asking God if this was Him that I would be assured by His peace. We drive down past the first two and he told me it was the last one. It had dark brick, grey stucco, and a black door. When I walked into the townhouse,(I kid you not) it had an open kitchen and living room with white kitchen cabinets and light grey walls. It was literally designed the same way as the other home we wanted to build and buy. Christian and I knew in that moment that this was God’s plan for us. That’s why we kept hearing that this was our home! Mrs. Jamie even told us that she did not even plan on showing Christian any town homes that morning, but she felt the impulse to go ahead and show him any way (THAT WAS GOD)! The townhouse is $30,000 less than what we would have been paying for the larger home- fitting our budget! Praise God! Our family’s testimony is only one small part of what God has been doing to fulfill His promises! Keep reading to see all the new promises He has fulfilled through us moving in! We currently have been living in our new town home for about a month now! We had previously anticipated closing on our house on February 1st, but with the recent government shutdown, our closing date was pushed back till February 23rd. Those few weeks leading up to when we closed were especially frustrating. Christian and I were so ready to move into our new house and move out of where we were previously living for the last year and a half. 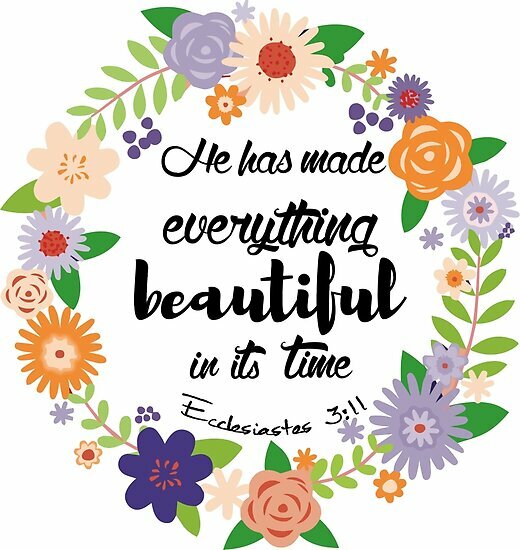 During this time, we felt like our trust in God was being tested; we knew what he had promised us- even if we had to wait on it a little bit longer. These circumstances reminded me of how God promised Abraham and Sarah their son during their old age. At 75, God promised Abraham to be the “father of many nations). Twenty-five years later, his wife, Sarah, conceived and had Isaac. Even though it did not happen in the timing that Abraham and Sarah wanted, God was faithful to fulfill His promise! (Genesis Chapter 12 – 21). But THANK GOD it did not take 25 years for us to move in only about 3 weeks! When we moved, we also gave away majority of our old furniture and have been slowly buying new items to add to our lovely home. I’m also trying to apply Ecclesiastes 3:11 to my perspective on how our house is slowly coming together! This perspective has really helped me learn patience and to hold on and wait for God to fulfill his promise. Another amazing testimony of God’s goodness and faithfulness to keep His promises is through how God answered our neighbors’ prayers! Over this weekend, we actually met our neighbors, after living in our home for a month. They walked down the road from their house to come greet and welcome us to the neighborhood with home-made muffins! So sweet, right? Well, the most surprising part of this visit wasn’t the muffins… even though they were delicious! As it turns out, our neighbors loved the wooded area they lived in that was now being torn down for this new construction. 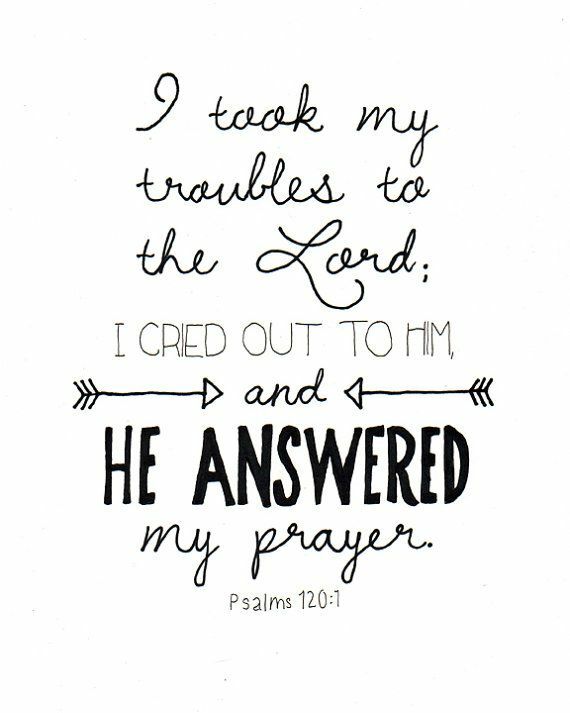 But their hearts were so big and for God that He was faithful to answer their prayers. 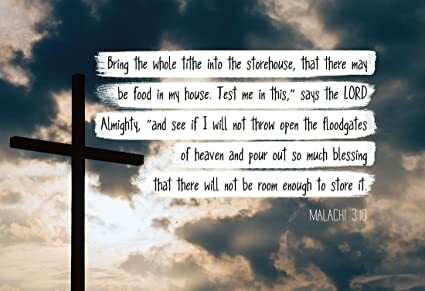 Their prayers during this time weren’t for God to stop this construction but were for God to send people to live in these new homes who could pray! I was mind-blown! God blessing us with this house wasn’t just to keep His promise to our family but also for this other family who’s hearts were so after God! Isn’t it amazing how God can work? I hope our and our neighbor’s stories can encourage you to look to God’s promises rather than your circumstances! He is so good and faithful, just trust HIM!